Fig. 2 Mass spectrum of PE1000. 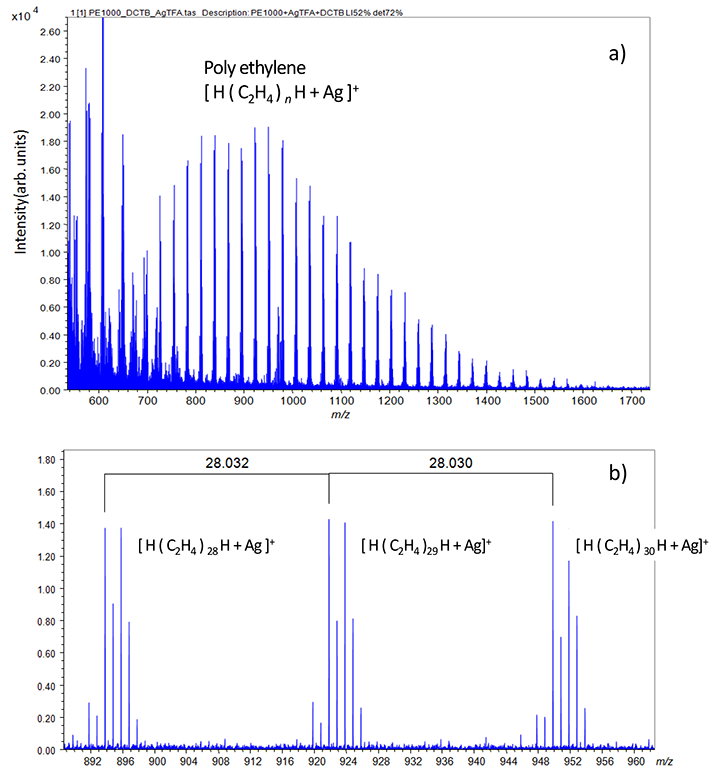 Distribution of [H(C2H4)nH + Ag]+ was observed around m/z 1000.